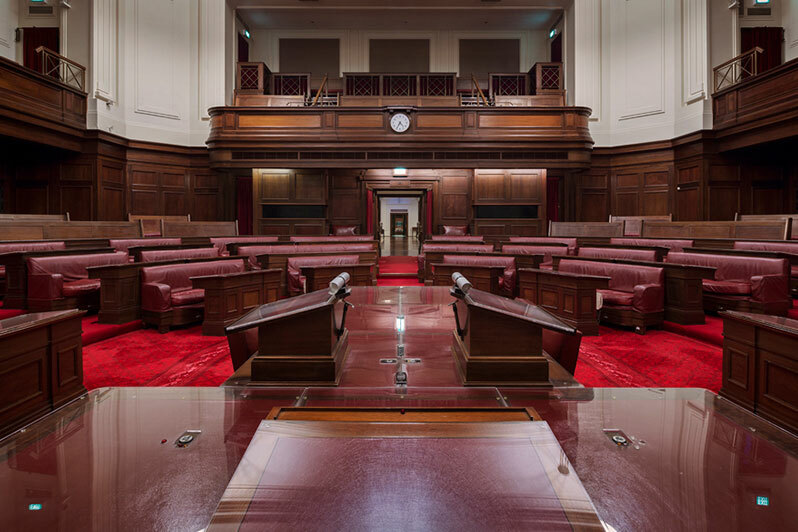 The Senate Chamber is a very special space to experience while at Old Parliament House. A tour can be arranged during breaks, pre- and post-events, and the Chamber can be made available for exclusive use outside of Museum hours (9am to 5pm daily except Christmas Day). 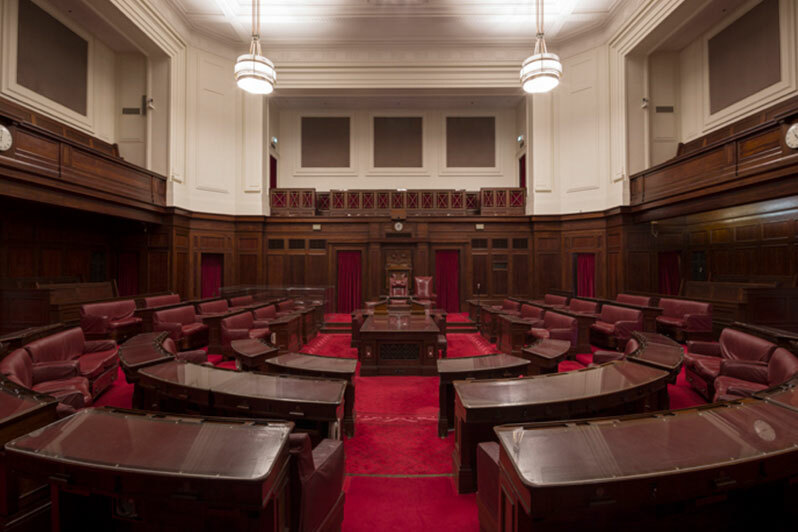 Sitting in the room (and indeed, on the exact seats) where generations of senators shaped Australia can be a powerful introduction or conclusion to a conference or seminar. Welcome addresses prior to formal dinners can also be arranged. 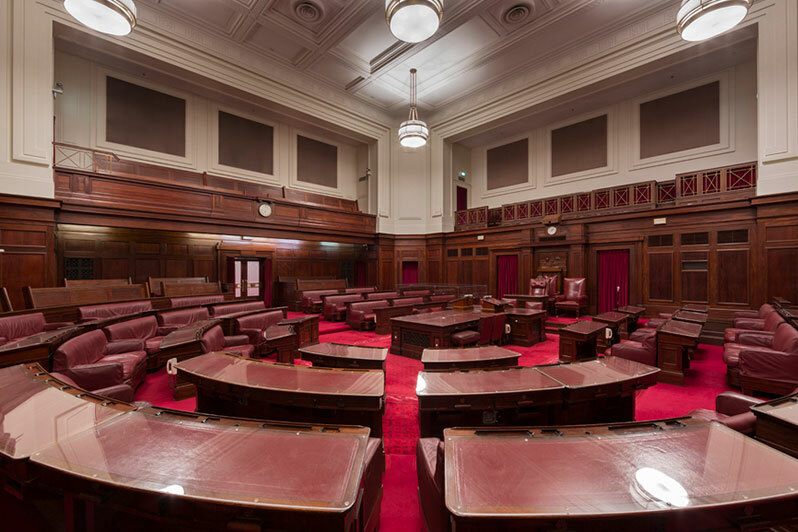 Access to the Senate Chamber is through the main Museum entrance on King George Terrace, and via King’s Hall. Easy access toilets are available at level; however, please note that this is not an easy access venue as such, with several steps across the space. 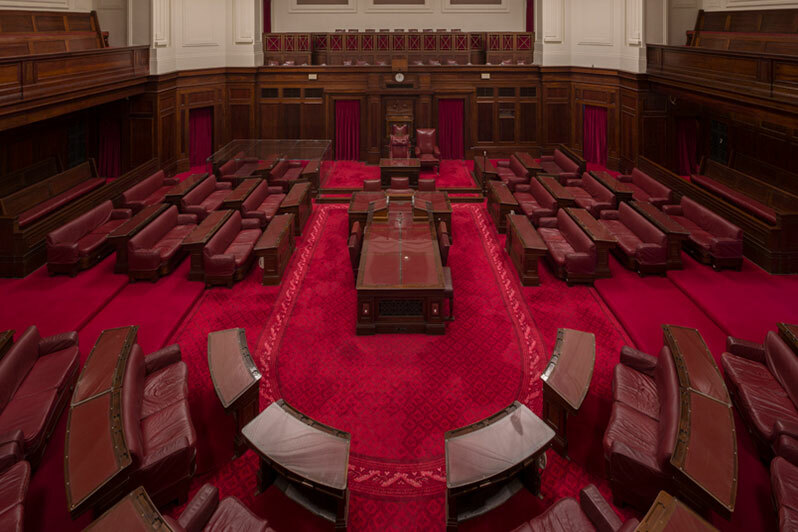 The Senate was established to give an equal say to each original Australian State, with the smaller States having the same number of senators as the larger ones. This was a crucial part of the Federation agreement. In time, senators’ loyalty to their party became more important than State loyalties. Since 1949, proportional representation has made it easier for minor parties to win seats in the Senate than in the House of Representatives. 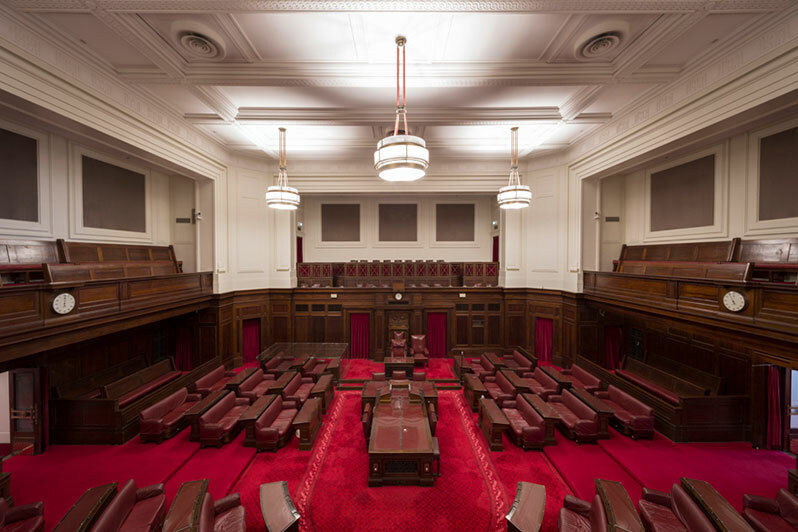 Debate in the Senate is controlled by the President of the Senate who, like the Speaker of the House, sits in a prominent position in the Chamber.